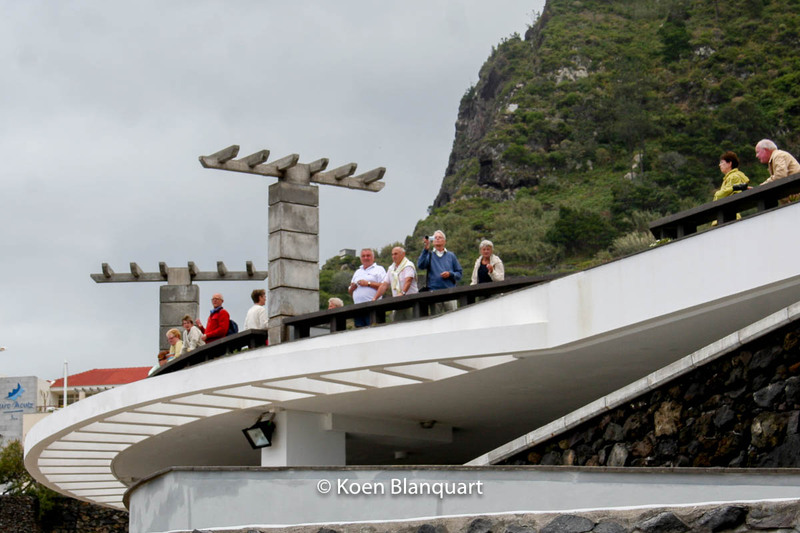 The west part of Madeira is less touristic than the area around Funchal. And it hides some nice surprises. 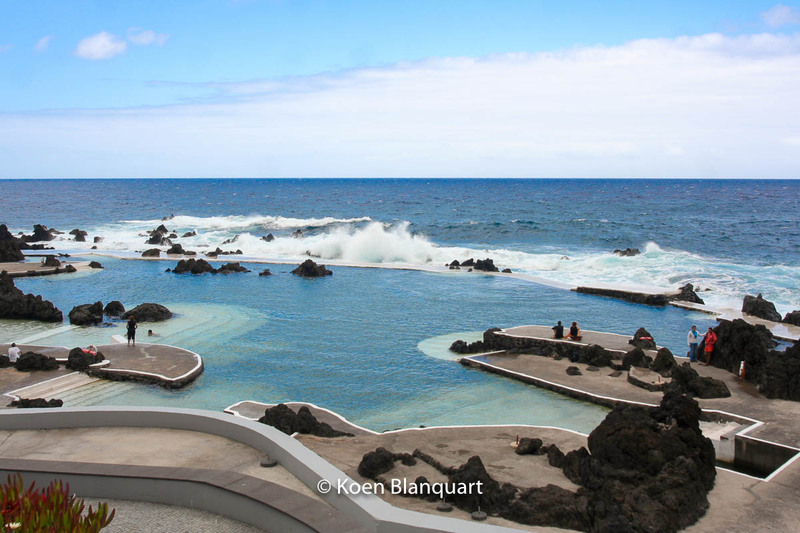 The Natural Pools in Porto Moniz are definitely worth going west. We’ve been to Porto Monize a couple of times. It’s a rather small town (well, as if you’d find other ones here…). Follow the road that leads you eventually to the lower part of the city. You’ll see a very large restaurant “Orca”. The pools are behind that restaurant. Several stairs lead you to one of the viewing platforms. 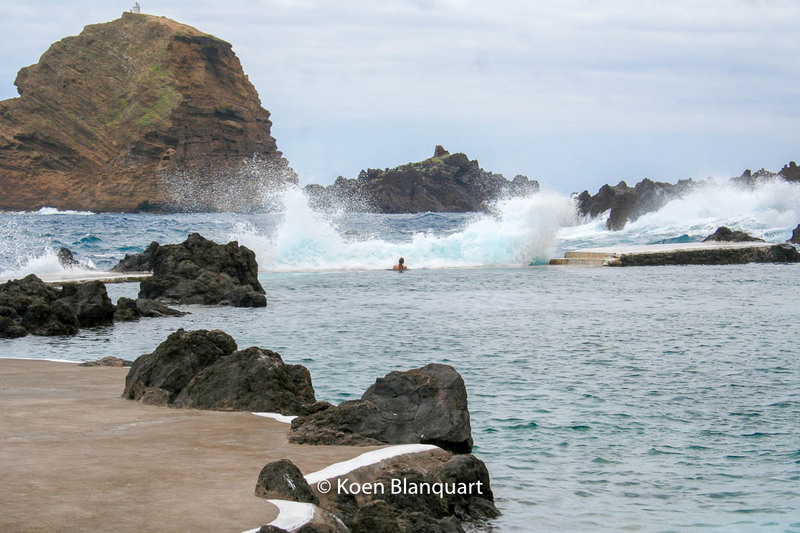 Take a moment to see the power of the waves breaking into the rocks and walls that enclose the pools. 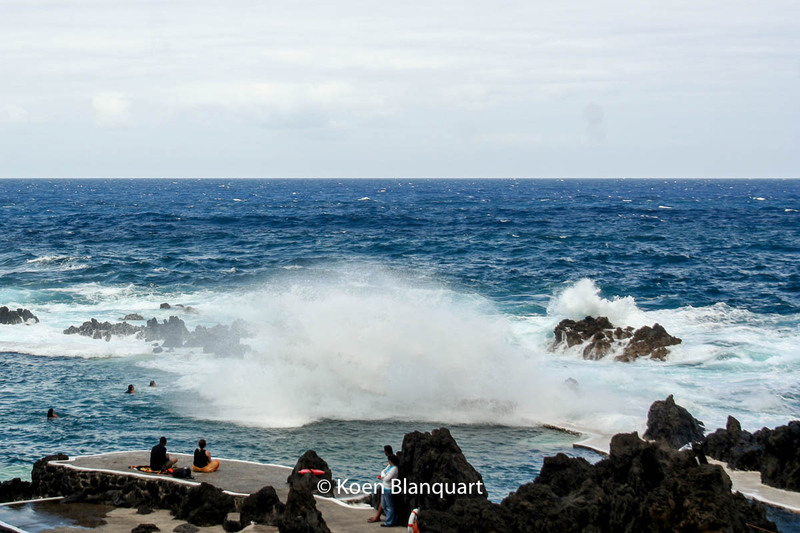 Swimming in the Natural Pools of Porto Moniz brings you close to the breaking waves. Once you’re ready to face the (admitted) colder than expected water, you walk out and become a sensation for the people with their camera on the platforms and in the restaurant above you. Swim towards the wall to have the most spectacular feeling. The waves break over you. The bigger ones will drag you back in the pool. When you’re in the pool, going on the walls where the waves break on, isn’t the best idea. The water will try to find its way back to the sea and you could find yourself on the wrtong side of the pool. But keeping that in mind, swimming in these pools isn’t that much different than swimming in another pool. The effect of the waves only goes for the first meters. It’s actually a bizarre view when you are in your bathing suit and see the people anove you in jackets, scarfs and hats. 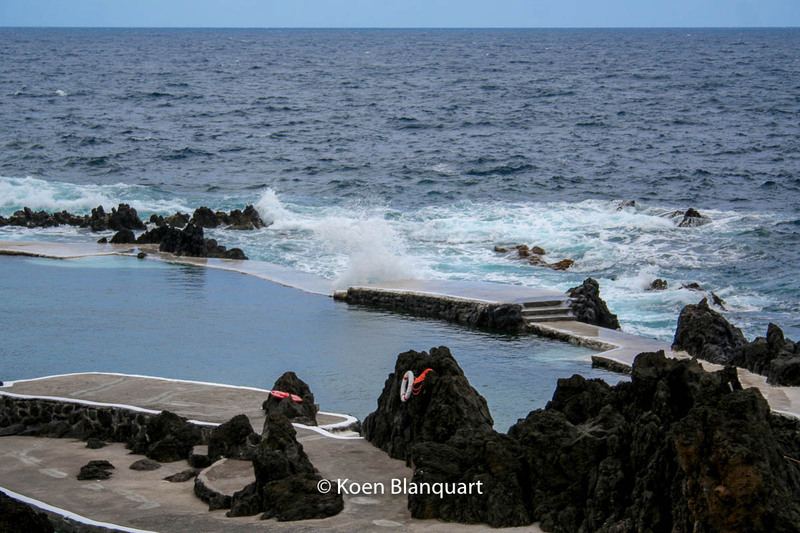 It’s part of the attraction that the Porto Moniz Natural Pools offer you.